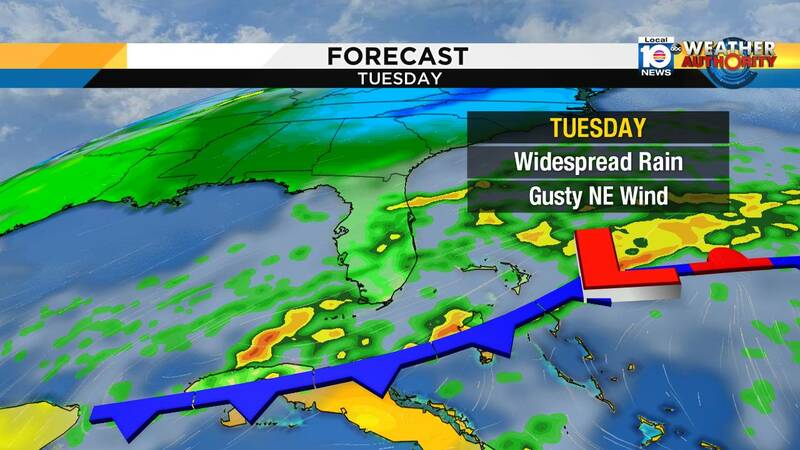 MIAMI - Showers have been reported throughout South Florida Tuesday, bringing most locations near 1 inch of rain already. The heaviest downpours have remained offshore, keeping the risk for flooding at bay so far. Hoping for some dry time? We may just luck out for a few hours late Tuesday afternoon and evening as a pocket of drier air moves in from the west. This should reduce the rain, though it may be temporary. Showers are likely to make a comeback Tuesday night for one last blast. If your plans outside Tuesday were dashed by the rain, Wednesday should bring better luck. The disturbance responsible for the showers will kick east, and South Florida will see far fewer showers Wednesday, though a few leftover showers will still be possible.